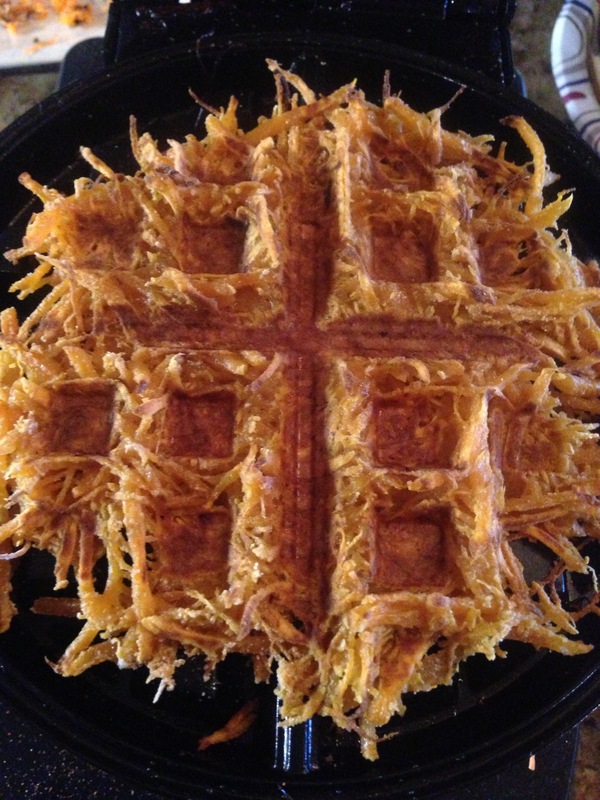 Hash brown sticks for on the go, but even cleaner yet are these waffle iron sweet potato hash browns! Pat your shredded sweet potatoes dry with a paper towel – get that moisture out! Sprinkle the flour and mix (by hand is fine). I call it a dough, it starts feeling that way. 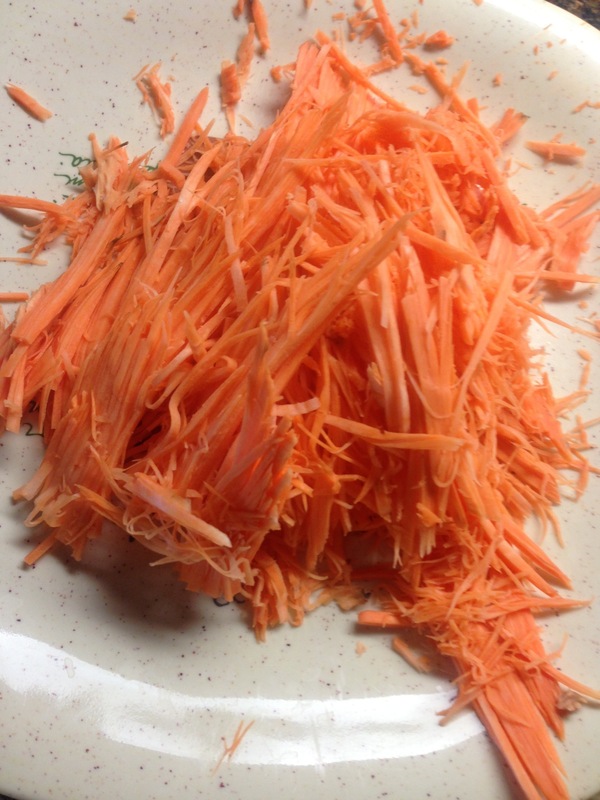 Once heated, spray with cooking spray then layer the shredded sweet potato on the iron. Thickness mar vary by waffle iron, but I’d say about 1/4″ or less, then you smoosh it down when you close the iron. Cook for about 10-15 minutes or until brown and crisp on the outside. The first one is always a botch, so don’t be discouraged! *If you want to form these for frying, mix 3-4 heaping tablespoons oat flour (you can use any flour of your choice. I like coconut, garbanzo bean, oat , almond, buckwheat and quinoa flours) and then form into logs. I like to squish my logs down so they are thinner and crispier.